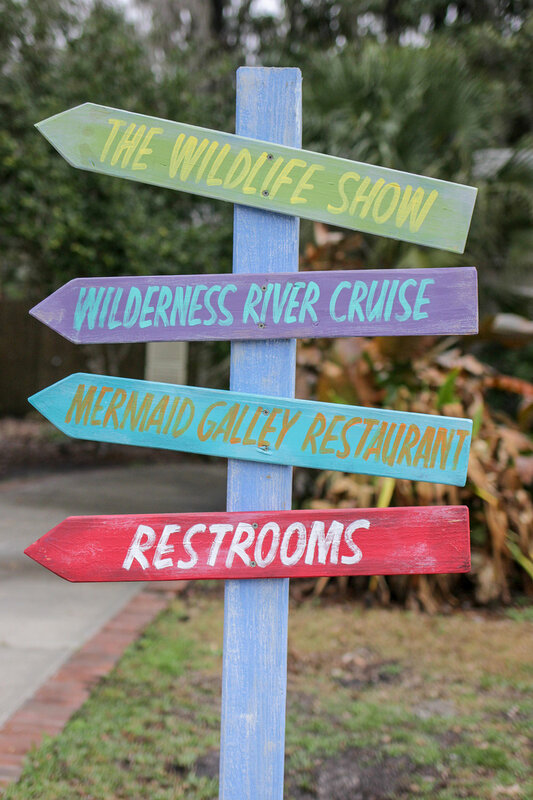 The one attraction that I was most excited to see on our recent Florida trip was Weeki Wachee Springs. 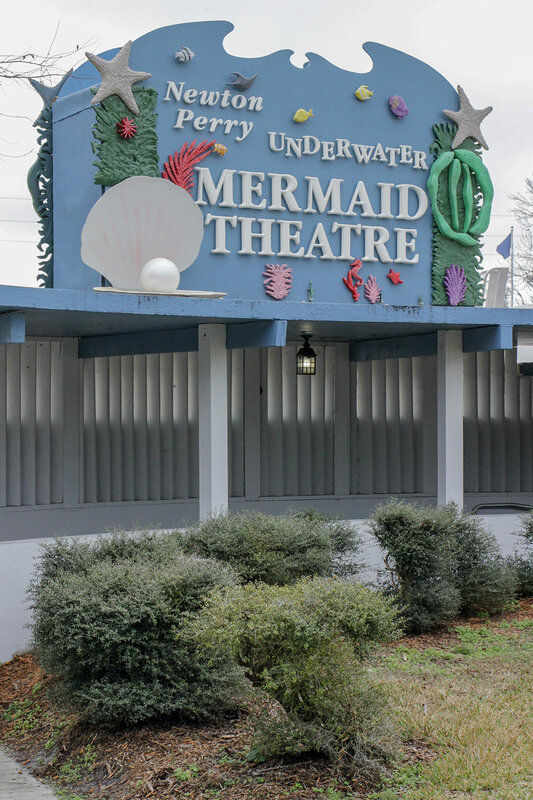 Open since 1947, Weeki Wachee is home of the famous live mermaid show. 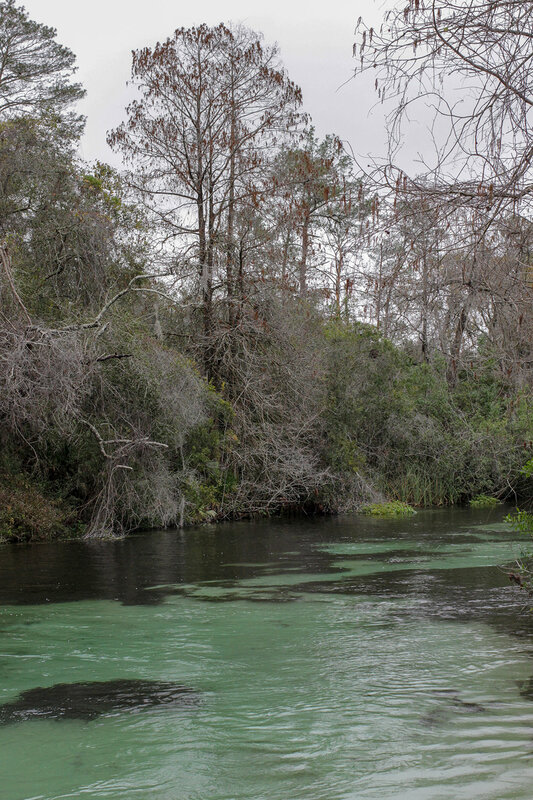 The Weeki Wachee spring is the deepest naturally-formed spring in the U.S. and the surrounding land is a Florida State Park. Guests watch the mermaid shows from 16 feet below the surface, inside of a 400-seat theater embedded in the side of the spring. 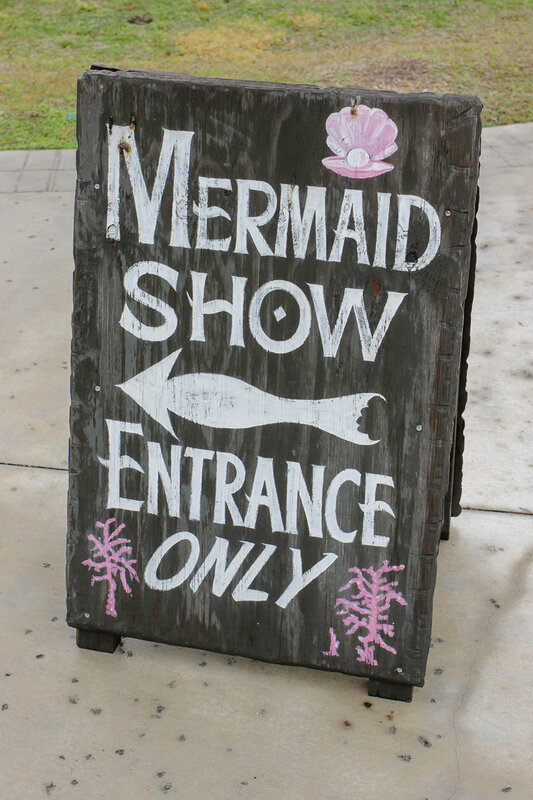 The mermaid show was dreamed up by former Navy man Newton Perry, who also invented the free-flowing air hose breathing apparatus that the mermaids still use today (it resembles a hookah). 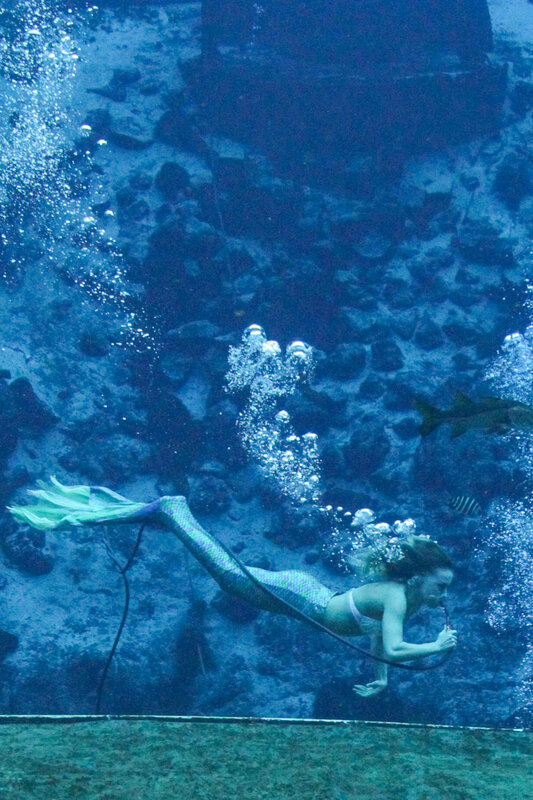 The mermaids are trained to eat, drink and do underwater ballet routines—three times a day, 365 days a year. The mermaid show was just as cheesy as I wanted it to be, and deceptively simple—tryouts for new mermaids include a 120-foot dive into the spring, a 300-yard timed swim and a 10-minute water-treading exercise. 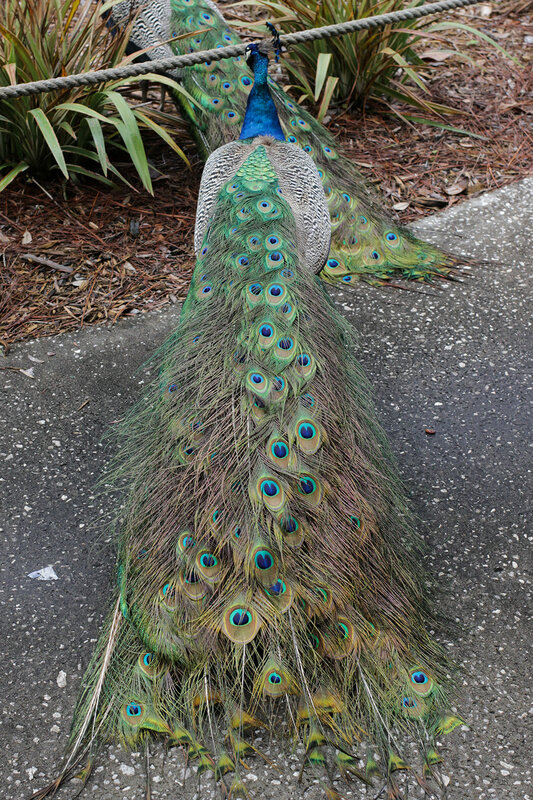 The show ended with a performance of "Proud to be an American," lest you forget that this is old Florida. 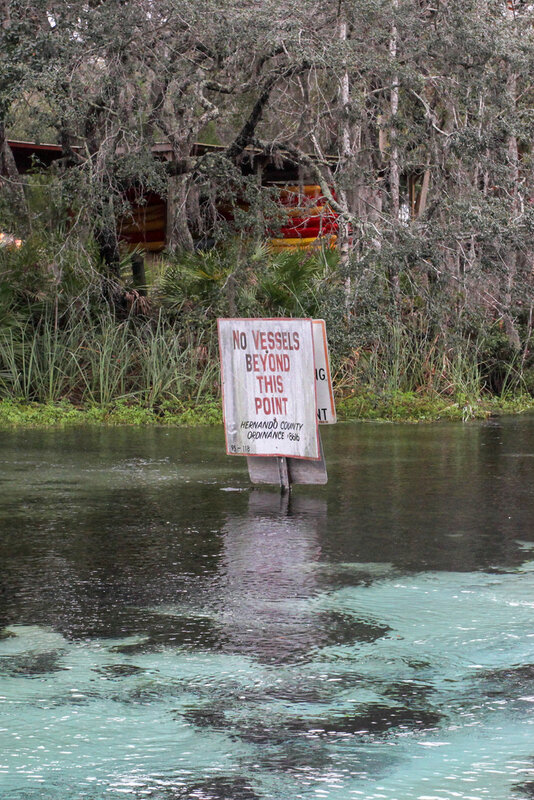 According to the 2016 census, the town of Weeki Wachee has just 13 residents and the mayor is a former mermaid. 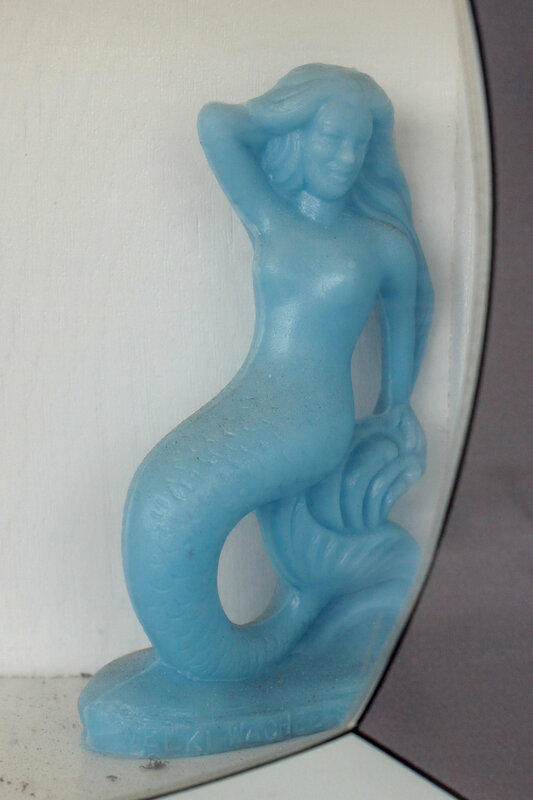 In the early days of the attraction, mermaids would stand by the side of the road in their bathing costumes and wave motorists into the park. 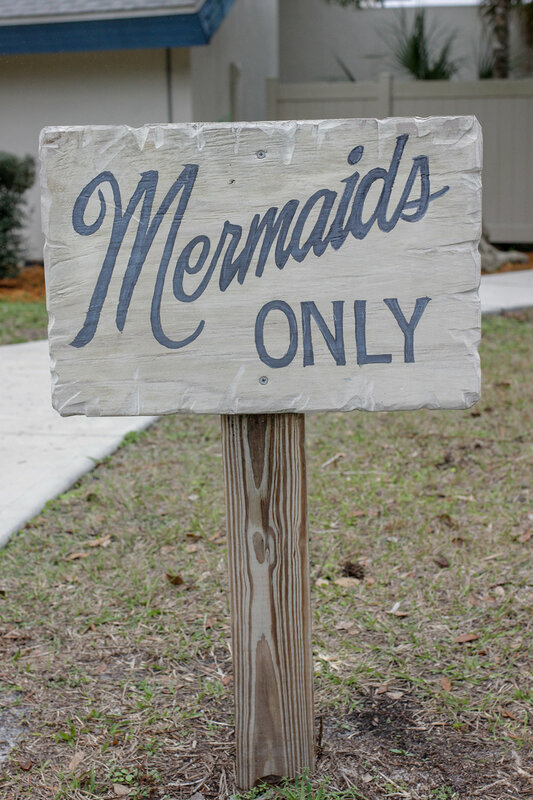 In the '50s and '60s, the mermaids were visited by Elvis, Don Knotts and Esther Williams, and performed eight shows a day to sold out crowds. 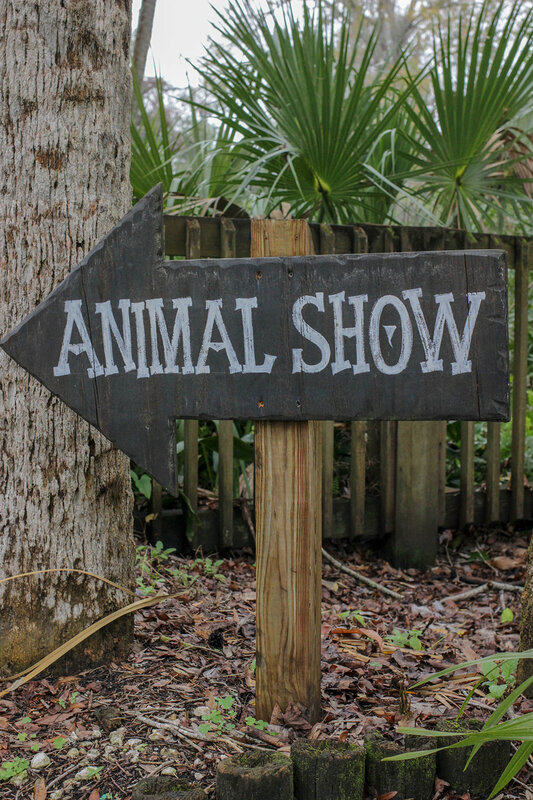 Weeki Wachee is definitely past its heyday, but $13 not only buys you admission to the mermaid shows, but also to a wildlife show (featuring a three-legged tortoise named Tripod) and a river boat cruise. I almost died with delight when we entered the park and I spotted a Mold-a-Matic machine—and then I almost died of sadness when I noticed the "out of order" sign. Later, we came upon yet another Mold-a-Matic machine ... and it was also broken. I first discovered these vintage souvenir machines in Florida last year and they're quite rare—I was heartbroken to be so close, yet so far from adding two new figures to my collection. David encouraged me to inquire at the gift shop if they had any pre-made figures and as luck would have it they did, sort of. One was broken in half and the other was beheaded, but David and his dad glued one together and I decided to leave the head separated from the second—my weird Florida version of the Headless (sea)Horse(wo)man. Located just down the road from the Spring Hill dinosaurs.